On January 13, 1941, James Joyce died in Zurich, Switzerland, at the age of 58. One of the most brilliant and daring writers of the 20th century, Joyce&apos;s masterpiece Ulysses is ranked among the greatest works in English literature. He was born in Dublin in 1882, and grew up in poor surroundings and was educated at Jesuit-run schools and the University College in Dublin. He wrote poetry and short prose passages that he called "epiphanies," a term he used to describe the sudden revelation of the true nature of a person or thing. In 1904, Joyce left Ireland with his companion Nora Barnacle (who he married in 1931 and with whom he had two children) and traveled across Europe, where he wrote in his spare time. Several of these stories would be included in the Dubliners, first published in 1914. The most acclaimed of these stories was "The Dead," which tells the story of a Dublin schoolteacher and his wife, and of their lost dreams. During this time, he also edited an earlier work Stephen Hero, which was retitled A Portrait of the Artist as a Young Man. With Italy&apos;s entrance into World War I, Joyce moved to Zurich with his family. Faced with severe financial difficulties, he found patrons in Edith Rockefeller McCormick and Harriet Shaw Weaver, editor of Egoist magazine. In 1916, Weaver published A Portrait of the Artist as a Young Man, which received significant critical acclaim. Soon after, the American Little Review began to serially publish Ulysses, a novel that Joyce began in 1915. The sexually explicit work was banned in the United States in 1920 after only a few installments. Two years later, Sylvia Beach, a bookstore owner in Paris, published it in its entirety. Ulysses brought Joyce international fame, and the work&apos;s groundbreaking literary forms, including stream-of-consciousness writing, were an immediate influence on novelists the world over. The action of the novel takes place in Dublin on a single day but parallels the epic 10-year journey described in Homer&apos;s Odyssey. Although colored with numerous allusions, the strength of Ulysses rests not in its intellectual complexity but in its depth of characterization, breadth of humor, and overall celebration of life. Joyce would spend the next 17 years writing his final novel, Finnegans Wake (1939). His most difficult work, he carried his literary experimentation to its furthest point in this novel, which uses words from different languages to embody a cyclical theory of human existence. Because many readers find it difficult to read, Finnegans Wake is not as highly regarded as his earlier works. Joyce lived in Paris from 1920 to 1940, but he moved back to Zurich after France fell to the Nazi&apos;s in World War II. In addition to his three major works, he also published several collections of verse and a play called Exiles. James Joyce died in Zurich Switzerland on January 13, 1941, after undergoing surgery for a perforated ulcer and was buried at the Flutern Cemetery, Near Zurich. Check back every Friday for a new essay on the lives of the great writers of English literature. 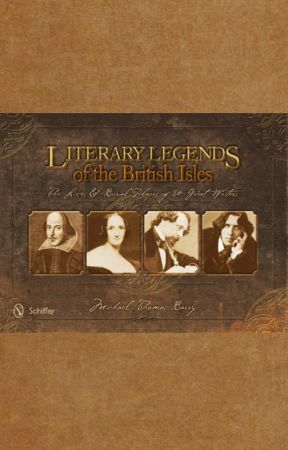 Michael Thomas Barry is the author of numerous books that include the gold medal winning Literary Legends of the British Isles: The Lives and Burial Places of 50 Great Writers (2013) and America&apos;s Literary Legends: The Lives and Burial Places of 50 Great Writers (2015). 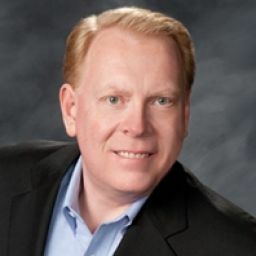 His books can be purchased from Schiffer Publishing, Barnes & Noble, Powell&apos;s Books, Amazon, and other fine book sellers. Visit the author&apos;s website www.michaelthomasbarry.com for more information.